ARAM - Players who do not accept matches, and dodgers - punsihment. something is wrong with the matchmaking queue season 9. When will the new champion be revealed and released? Did hitbox indicator animation got worse. Why cant we remake if someone didnt leave the fountain??? My friend is getting boosted while playing his worst role. My summary of all the things bad about League and why I might quit. 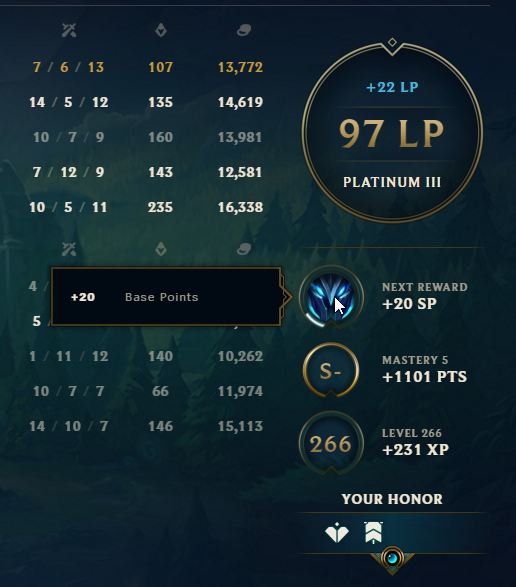 Does riot give you bad teams during promos? Top Lane is really fun! Really beginning to prefer tank meta to this meta! How to deal with fizz as a velkoz? Sort players after skill ??? Laners refusing to help at scuttle. Does Zed still get reduced damage when hitting multiple shuriken on 1 target? Why isn't this guy banned yet?